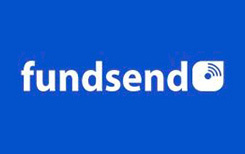 FundSend is a modern service that gives its clients the ability to send money or pay online instantly with the help of VISA\MasterCard, connected to the account of the regular bank. FundSend is a worldwide famous service and almost anyone who got VISA or Mastercard can benefit from using this payment method. The only problem is that even though the service is international, it works with selected countries: Brazil, Canada, Finland, Denmark, Norway, Sweden, France, Germany, Spain, UK. From time to time some countries can be added to the list, but countries you see are available for sure. The last step is automatic redirection to the page where you’ve been creating the payment. The actual fees depend on the amount of your transaction and some other key factors. For some payments, you will be charged with 2.49 percent from the total amount and 2 pounds additionally, and in some instances – 2.99 percent and 4 pounds additionally. For those who have time and would like to save some money there is another option – you can create an account at FundSend, and you will pay from 1.99 to 2.49 percent per each transaction. You should also consider that each transaction has its limits, and you cannot pay more than 5000 pounds at a time. In general, FundSend is a reliable and simple service, that protects all the personal data from third parties, creating absolutely anonymous payments. Online casinos and Fundsend: how to deposit? To pay with FundSend one doesn’t have to be an IT-professional, it’s usual process as with any other online payment system. When on the website of the casino, just select FundSend in the list of different online bankings and do just as written before, enter some data, like amount of money and card number, for example, and approve your payment. Just in a few moments, your money will be transferred to the recipient, or, in our case, to online casino. Online casinos and Fundsend: how to withdraw? Actually FundSend is almost the same as just VISA credit card, but simpler. Nevertheless, as for today there are no online casinos that provide withdrawal function for FundSend. So if you guess if your favorite casino will give you the opportunity to withdraw winnings with FundSend, you better ask the support service beforehand. FundSend provides its clients with the ultimate payment solution – it’s the same as regular credit card, but while paying you don’t have to worry about your personal data, the medium side, FundSend, will make the transaction anonymous and the recipient will see only that the money are transferred. Even though FundSend charges some fees for its services, other payment methods usually charge more, so if you want to make an instant payment, some 1.99% can’t be really a problem. Since any payment you make with FundSend is carried out with your credit card, you can start playing irresponsibly, spending more that you were going at the beginning.